The most important thing about our Mizuno JPX 900 Forged Irons Review is their clubhead, which is very-well designed to improve your game without forcing you to adjust your golfing style. This is because Mizuno used a combination of steel and boron to make the head of these irons. The result is that Mizuno JPX 900 give the golfer a great feel and forgiveness, while also slightly improving the speed of the ball. All of this means that Mizuno JPX 900 forged irons are ideal for those golfers who are used to the traditional size of the clubhead. But, no old-fashioned clubs can even come near Mizuno JPX 900 in terms of feel and performances mainly thanks to the boron-treated heads. And the fact that even celebrated golfer Paul Casey uses these irons is a sign of their quality. They’re guaranteed to improve your play without causing you to struggle to adjust to a new size and/or design. 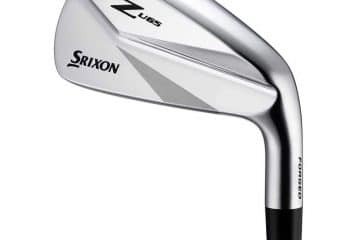 Boron forging technology – The faces are much thinner that most golfers would’ve expected and the reason for that is that Mizuno engineers took advantage of the boron forging technology. The thing is that boron is lighter yet stronger that regular steel, which is why they had no problem creating a club with a thin face that gives the players a boost in distance and forgiveness. 3 to 6-irons clubhead construction – Here’s another benefit of using boron in the forging process – it allows the engineers to add a pocket cavity into the clubheads of 3 to 6-irons. The result is that these irons now produce a much better ball speed, while steel maintaining the feel. Project X shaft – Mizuno uses Project X shafts which are famous for their light weight. That’s another reason why Mizuno JPX 900 irons feel great in the hand. Weighted perimeter – The boron forging technology has made these irons super-lightweight, which is why Mizuno engineers decided to add more weight to the perimeter, this raising the inertia moment. This is done to make Mizuno JPX 900 extremely forgiving irons that can make the ball travel at very high speeds. Forgiveness – Mizuno JPX 900 Forged Irons are designed to reduce the impact of the mistakes you make. It’s all thanks to the special technology used for the construction of the clubheads. Distance – Mizuno JPX 900 Forged Irons are game-improvement irons not only because they “forgive” you for your mistakes, but also because they make the ball travel longer distances. Regardless of your current skill level, you’re almost certain to get a significant distance increase immediately. Easy distance control – The peak height of the ball does not differ much regardless of which iron from the Mizuno JPX 900 set you’re using. What this means is that you will not have any problems controlling the distance. 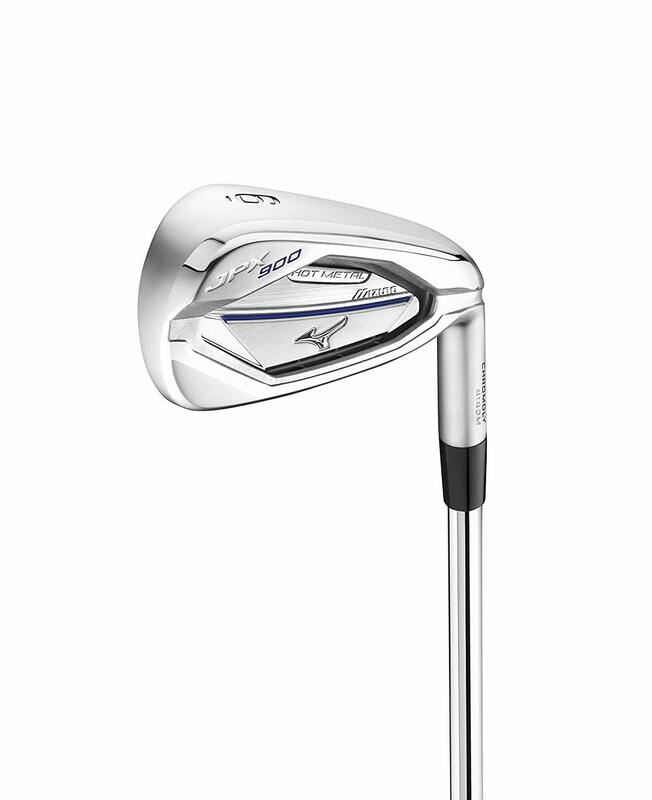 Feel and looks – Mizuno JPX 900 Forged Irons are designed to feel good in the hand, as well as to look real nice. If you buy a set of Mizuno JPX 900 Forged Irons, you’re gonna make your golf buddies jealous, there’s absolutely no doubt about that. Price – With the price of over a thousand dollars, these irons aren’t cheap. Still, considering how big of an improvement they are gonna make in your performances on the court, it’s definitely a good idea to get them. You can look for alternatives to these irons in Mizuno’s collection, particularly within the JPX 900 series of irons. Apart from JPX900 Forged Irons, Mizuno also offers JPX900 Tour and JPSX900 Hot Metal. All three are balanced performance irons, made of different base material. Their prices also do not very too much, so you could definitely find something to your liking there. You can also take a look at the specs of Mizuno MP-25, irons for which Mizuno engineers also used boron to add more strength. If Mizuno isn’t your brand of choice, our advice it to take a look what manufacturers like Ping and TaylorMade have in the offer. Mizuno JPX 900 Forged Irons – Should You Buy Them? The big question is not whether you should buy Mizuno JPX 900 Forged Irons, but whether you’re prepared to pay a little bit more and get a set of irons that will do wonders for your game. Of course, they won’t turn you into a pro golfer right away, but they will help you send the ball further away. And the best thing is that they will improve your game without making you adjust the way you play. What this means is that you’re bound to get used to them very quickly. And all of this is achieved through the use of boron infused steel for the clubhead, which makes the face much thinner than what is the case with most other irons.